Soon kids will be heading back to school. For some, that means back to fall sports as well. Whether your young athlete plays soccer, football, field hockey or competitive yard raking, your life is about to get a lot busier. Consider these pro tips, curated from the 10 million parents, coaches and players who use TeamSnap, the popular app for organizing youth sports teams and leagues. You'll kick this season off on the right foot from the starting whistle. Switching from a relaxed summer schedule to the routine of back to school can be an adjustment. Add sports and—yikes! Setting goals and making plans early in the season with your athlete will help you establish a family routine. Create a weekly strategy for homework and chores. Plan healthy meals and snacks and appropriate bedtimes to keep your athlete in tip top physical shape. Thinking ahead will mean less fast food and fewer cranky mornings. 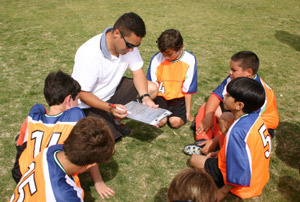 Coaching a youth sports teams is not an easy job, so helping your athlete’s coach will go a long way. Most youth coaches are volunteers with busy schedules of their own, so they can always use an extra hand. A great place to start is carpool or snack duties. Try taking on uniform orders. Plan the end-of-season party. We know you’re busy too, so you don’t have to do it all, but if every family pitches in, you will have a great season. An important part of being an athlete is taking responsibility for yourself. That means getting to practice on time, bringing all necessary equipment, and being appropriately dressed for your sport. Chronically late and unprepared athletes show a lack of respect for the team and affect morale. Mom’s taxi makes multiple stops every afternoon, so having your kid keep track of his own sports “stuff” with a quick double check from you is a huge help and a step toward independence. 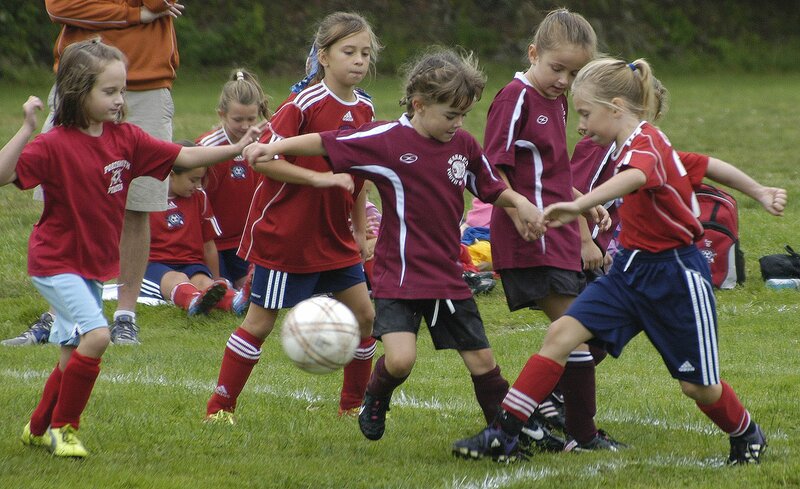 Your kid is going to spend hours with her team. Get to know them and their families. Being on a team teaches not only athletics, but also community. Practice may seem like the perfect time to catch up on email, but take time to talk to the other parents. Offer to host a “getting to know you” pre-season BBQ. A team should be a community for everyone involved—coaches, assistants, managers, parents and players. Good friendships can be made through sports programs, as well as excellent carpool connections. Don’t coach from the sidelines – be a supportive spectator. It’s important for a youth athlete to hear one instructional voice when the pressure’s on during a game, and that should be her coach. Let her hear supportive roars from the crowd, not directions that could conflict with the coach’s. If you want to be the coach, volunteer! Until then, keep your coaching skills under your hat and show your team spirit. Although your kid is obviously your favorite player, whether he is picking daisies or the next Derek Jeter, make sure to cheer for the entire team. Every player is important on a team. Hearing a crowd cheering from the sideline brings a big confidence boost to anyone, especially a young athlete who is just learning the game. Cheer for the kids on the team by name, and let them know when they made a nice shot or you notice improvement in a skill. If your child had a problem on his team, should he complain to his teammates or go directly to the coach? To the coach, right? Then do the same. Venting to other parents might feel good at first, but does not solve the problem. Set up time to discuss the issue with the coach, just not when the coach is busy with other team responsibilities. When you talk with the coach, keep an open mind, emotions in check and work with him to help your pint-sized player improve. Ok, so being part of a team isn’t always perfect. Maybe you drive an hour to see a game, and your athlete hardly plays. Other parents are being obnoxious during games. (A little less airhorn, please!) In those situations, take a deep breath and remember this for the kids. What will a child remember—a bad call by the ref or the colossal embarrassment of a parent storming the field, demanding the referee pay a visit to the optometrist? That’s not to say parents should say nothing. But keep things in perspective. Life is short. Yes, umps are people too. Believe it or not, they don’t have a supernatural ability to see every single thing that happens during a game. Have faith that they are doing their very best they can to call a fair game. Do officials make bad calls sometimes? Yep, but without them, we would have no youth sports programs. And they clearly don’t do if for the lucrative pay or endless accolades. If you have a question about a call, calmly ask about it after the game. Maybe they saw something you didn’t, or maybe not. Good or bad, thanking your officials for doing what often seems like a thankless job will go a long way and make many friends. After the game, you could endlessly recount the game highlights with your own color commentary. Don’t. Playing a sport is physical and psychological. Young athletes need time to unwind and transition. Continue the game conversation with your own critiques off the field, and you are likely repeating stuff your child already is dwelling on or heard from the coach. Let him know you love watching him play and then move on to the rest of your day. Fall sports season can be chaotic, for sure. Homework, long car rides, and misplaced equipment might make it feel like a losing battle at times. But, just remember the cheers, fist pumps and group hugs that make it all worth it! Before you know it, you will be celebrating the end of the season and wondering where the time went and what you will do with all of your free time. Oh, that’s right. Winter sports! Volunteer coach? Team parent? Soccer mom or dad? 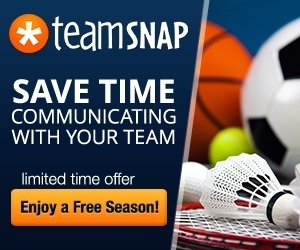 Try TeamSnap and you'll never go back! This awesome app makes everything about kids' sports easy: organizing practices, scheduling games, tracking attendance, sharing photos, signing up for snacks, and so much more.